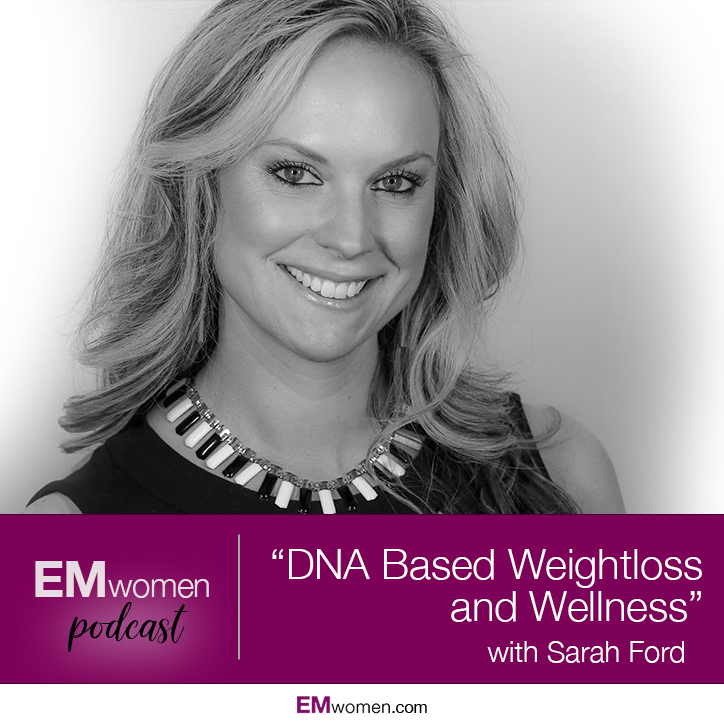 Our guest blogger today is Sarah Ford, Certified Health Coach and 18-year veteran in the weight loss and wellness industries. Sarah is a Neurotransmitter and Endocrine certified specialist, which basically means she is going to help you get your head and body in alignment to better work FOR YOU instead of AGAINST you. She is am EMwomen story of how her own weight-loss journey inspired her to dedicate her life to helping others achieve their weight loss and wellness goals. What time do you wake up and eat your first intake of food? Do you eat in large amounts or small amounts throughout the day? All of these questions seem trivial but they are essential to weight-loss that lasts! 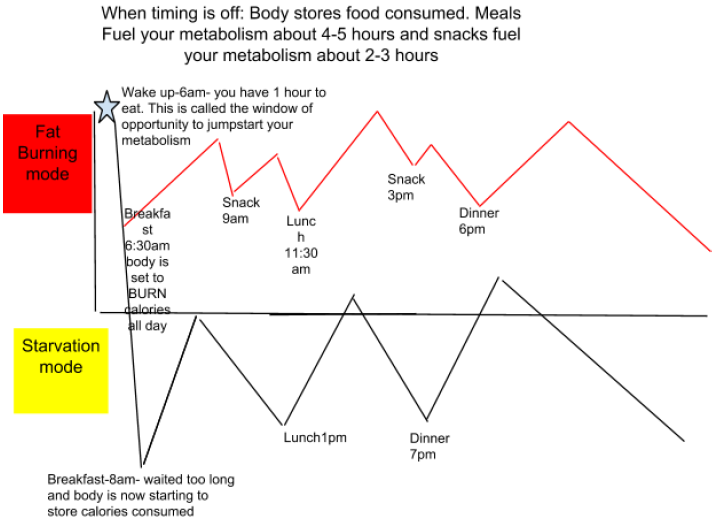 If you are not eating within 1 hour of waking up and eating/drinking protein every 3-4 hours, you might be putting yourself in starvation mode. This slows your metabolism and can lead to weight issues, low energy, loss of muscle mass, insulin resistance, and more negative effects. Meals fuel your metabolism every 4-5 hours. Snacks fuel your metabolism every 2-3 hours. Your goal should be to stay OUT of starvation mode and instead, learn to LIVE LIFE in your fat-burning mode. God designed our bodies to live, work and eat for life. Only in cases of intentional spiritual fasting should your body go into starvation mode. The goal is to stay in a fat burning mode which can lead to a higher metabolism, more energy, weight loss, and gaining lean muscle mass. Now, what to eat to get max results for your weight loss and wellness needs. ● Protein every meal every snack–( we will talk about protein sources later). You do not have to eat protein, you can drink it. ● Only 1-2 servings of carbs after 6pm-7pm. A carbohydrate serving is about ¼ c. of starch, ½ cup cooked veggie and 1 cup raw veggies. ● Water intake needs to be at least 64 oz/day. Even better is 80oz-100oz a day. ● Start to reduce soda/diet soda/ juices/ etc by ¼ less each week. ● Eat every 3-5 hours. If you can not eat, drink a protein drink instead. ● Don’t eat a carbohydrate without a protein. You can eat protein and fats alone, but don’t eat a carbohydrate alone. Example- if you are craving a cookie for a snack- eat the cookie and drink a protein drink with it, or eat 2oz of leftover chicken. This will help to regulate your blood sugar. Fruits, vegetables, bread, rice, pasta, quinoa, cereal, starches, sweets. Avocados, Nuts, Oils- coconut, olive, avocado. Liquid form: Protidiet protein drinks – you can buy on Amazon. Each protein pack is a gel-like protein pack and has 15g. Of collagen protein and 2g. Of carbohydrates. These can mix with water, club soda, or can be drunk alone.